A family of six occupies this gracious Bryn Mawr home. Upstairs, Down2Earth Interior Design was tasked with creating a feminine girls’ suite. 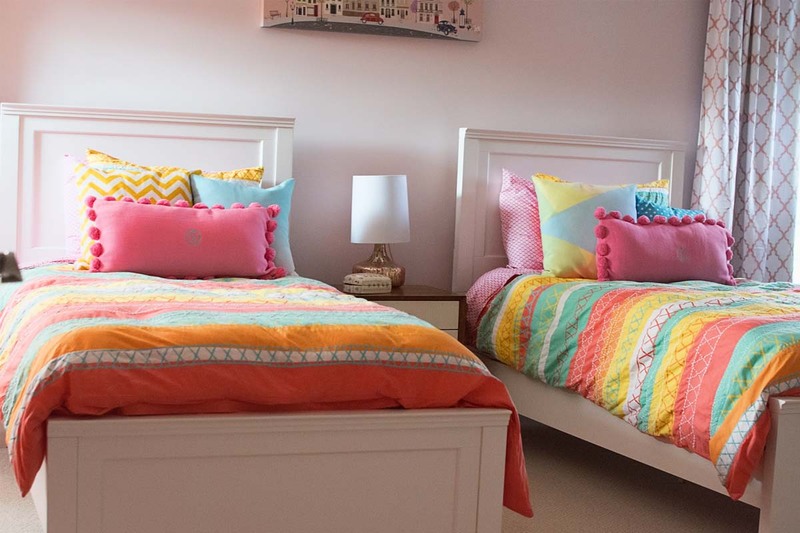 In shades of blush pink, with cheery pops of color, we created a bedroom and dressing room that can grow with its two young residents. 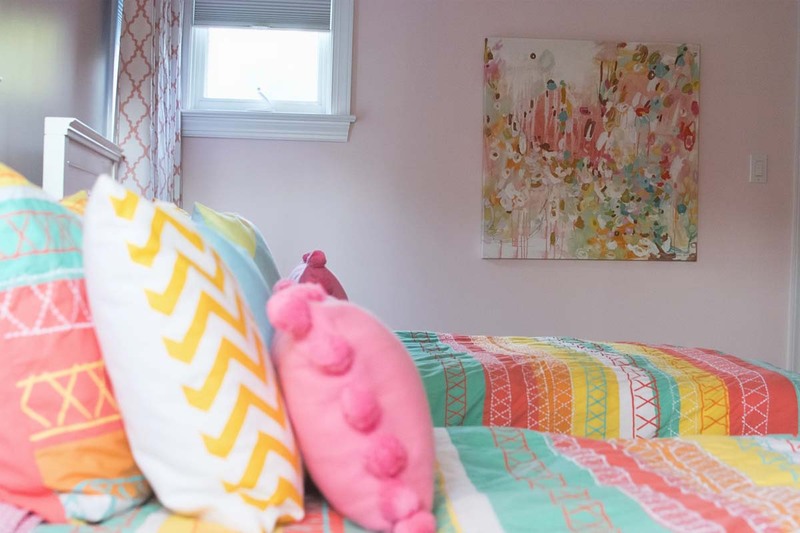 The bedroom features matching beds and bedspreads, art walls, sweet drapery, a play tent, bookshelves, and a dress-up station. 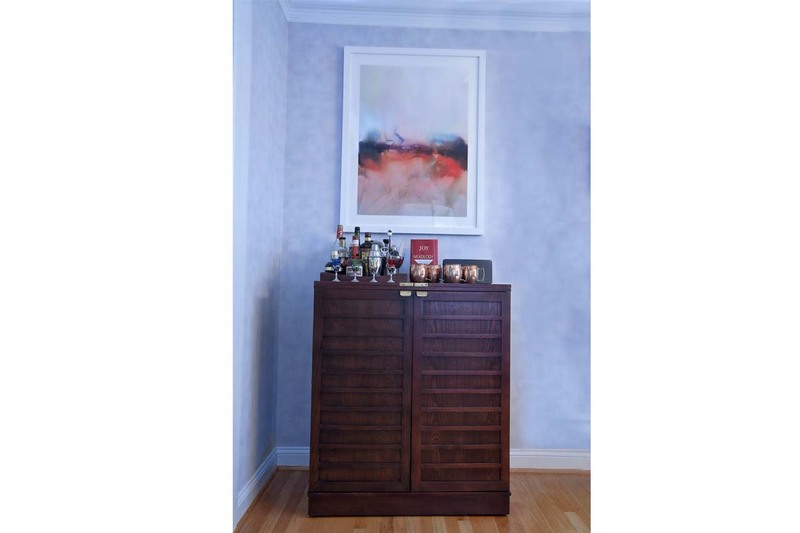 The dressing area includes a full-height mirror, dressers, jewelry, and some low, appropriately-scaled seating. 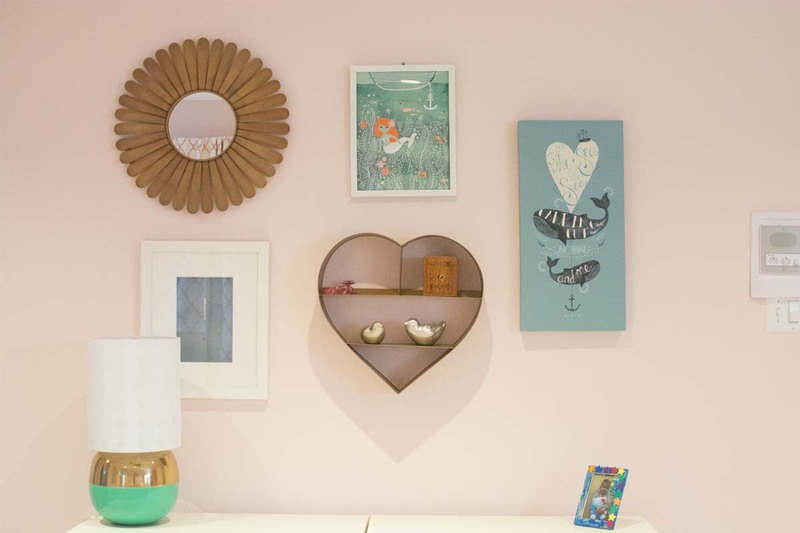 On the first floor, mom’s home office doubles as a crafts room for the kids. The window bench and surrounding bookcases are custom built-ins designed by Down2Earth Interior Design. Within the built-ins, Games are kept down low for easy reach, while closed cabinets can hide messier items. Items displayed on open shelving above are accented by a teal blue background color. The cushion and window treatments are custom designed to lend a cozy air to the window seat, which takes advantage of the view out to the beautiful, leafy neighborhood. Purple acrylic chairs can take a beating at the kids’ crafts table. 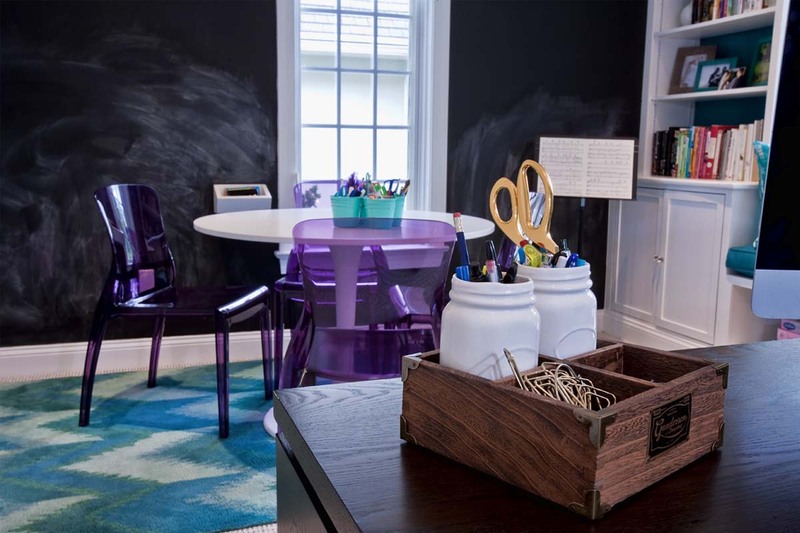 The adjacent wall features chalk-board paint, which provides plenty of opportunities for the kids to express their creative ideas as they grow.